Sustainability summer camp for young women – win a free place! According to the Department for Health, one in three teenage girls now suffer from anxiety or depression. This shocking statistic, coupled with a passion for a happier, healthier planet, drove local sustainability leader Traci Lewis to set up Catalyse Change. Designed to support girls and young women to develop their skills and confidence to become effective changemakers, Catalyse Change has already reached over 500 young women, empowering them to become the next generation passionate about healthy, happy and green communities, careers and planet. For young women who are interested in a career in sustainability but aren’t yet sure how to achieve it, the Catalyst Bootcamp could be the answer. 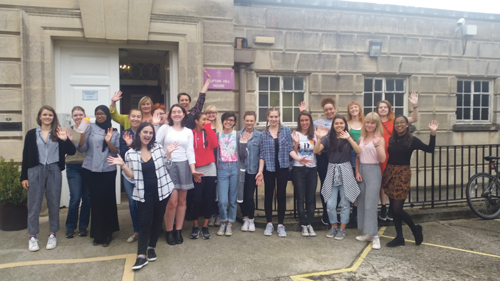 The three-day summer camp based at the University of Bristol offers workshops on career and education options for the sustainability sector. Central to the Bootcamp programme is a focus on helping young women understand their skills and develop their confidence, with simple tools for resilience at the core. “During the course of our 2017 Catalyst Bootcamp, we saw an increase from 54.5% to 100% in girls who identified themselves as having the potential to make a positive difference in the world – we think that’s pretty special.” Says Traci. Young women at the Catalyst Bootcamp will hear from inspiring professional women who are already succeeding in the sustainability sector. They will also meet a mentor who can support their path towards a sustainable career. The next Catalyst Bootcamp runs from 1 – 3 August and you can save 20% on the ticket price using promo code CB18offer. Or to win a free place tell us in in 100 words, or with an image or 1-minute video, why you want to be a #Catalyst4Change. Full details at www.catalysechange.com.